Check out the pages in the August 2013 edition of the District Newsletter. for an in-depth update on the launch and progress of the project. Ros Piper and Robyn Falloon launched this project at the Craft and Quilt Fair at the Melbourne Exhibition Centre. Read about the setup for the event through to the end of an amazing 4 days for the group. Through exposure to 1,000's of visitors this project is really growing across the local community and the Lions Clubs, as well as the traditional crafts and quilting community. Wow - the quilt has been featured in local papers and has now been shown in quilt magazines in Australia and France. The quilt will now travel to guild shows, major exhibitions and selected shops prior to the draw scheduled for June 5th 2014. Of course this quilt has been constructed to support a very worthwhile cause. The number of pledges is heading rapidly to the target of $20,000 - all proceeds to support the Caroline Chisholm Foundation in making a difference to women's lives. 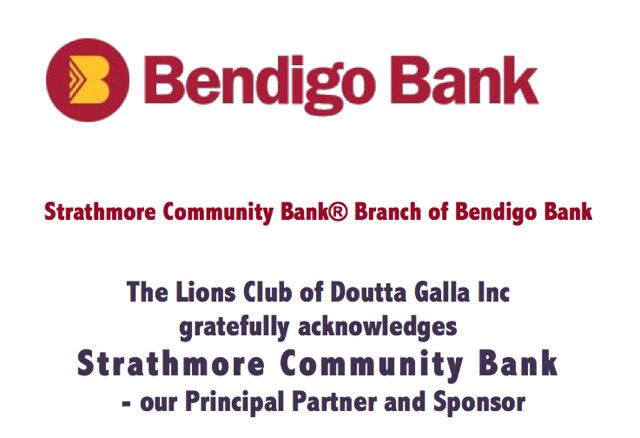 Click here to view the Lions Club of Doutta Galla March 2012 Newsletter "Drum beat"